Are you considering underfloor heating in your next project? If so, we can take the hassle and mystery out of underfloor heating. So whether you're renovating your existing home or building a new one, we've got the perfect system for your project. It is a common misconception that installing underfloor heating is a very disruptive process, that should only be undertaken at the beginning of a project. Whilst this may have been the case in the past due to factors such as having to remove skirting boards and re-size doors, these days there are a range of low build up systems on the market that fit neatly under your floors. Most floor types can be laid over the top of the systems from tiles to carpet, you name it we've got a system to suit it. You're embarking on/ in the middle of building a new home, and are faced with hundreds of decisions based on various products you never even knew existed. Although it's another item to add to the list, heating is an integral part of a home. As with most products, you'll be wanting something that you can rely on now, and for many years in the future, with very little maintenance. Cue underfloor heating. We have market leading systems that will work seamlessly with all major floors & constructions- Just send us your plans and we'll do the rest - from design to delivery. Many people seem to consider underfloor heating as only being suitable for downstairs. This is likely due to a misconception that it isn't suitable under carpet. OMNIE underfloor heating systems provide unrivalled heat outputs meaning they will provide comforting gentle heat no matter what floor covering or floor you install it on. It has been proven that the heat provided by underfloor heating systems is much more pleasant when it is consistent throughout the home. 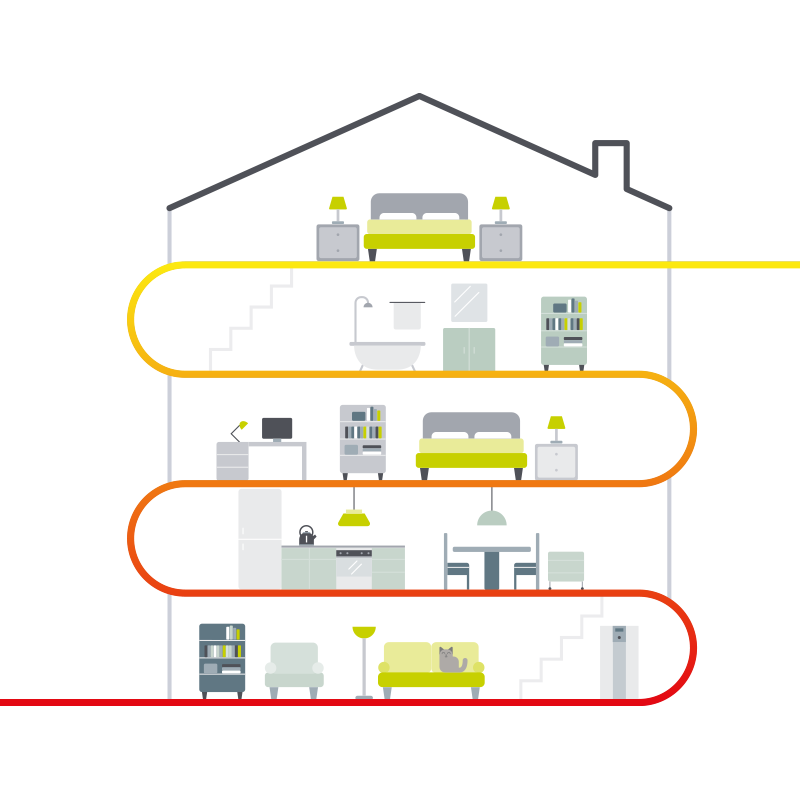 Heat pumps are the perfect partner for OMNIE underfloor heating, saving energy and being better for the environment. This is a popular option for self-builders who either install a ground source or air source heat pump. A ground source heat pump takes energy from the ground even at sub-zero temperatures. The absorbed energy is then transferred, at higher temperatures, to the homes heating and hot water system. The energy taken from the ground is then replaced by energy from the sun. Air source heat pumps (ASHP's) absorb heat from the outside air in the same way that a fridge extracts heat from its inside. 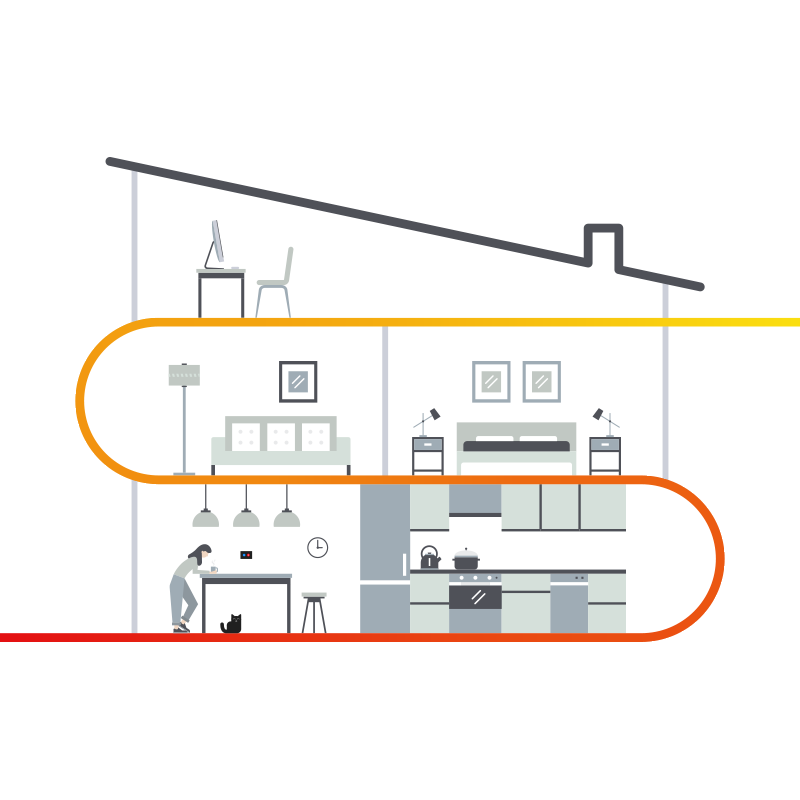 It can get heat from the air even when the temperature is as low as -15° C. This heat can then be used to heat your underfloor heating systems and hot water in your home. 1) You can sign up to the Government funded Renewable Heat Incentive (RHI). People who join the scheme and stick to its rules receive quarterly payments for seven years for the amount of clean, green renewable heat it's estimated their system produces. 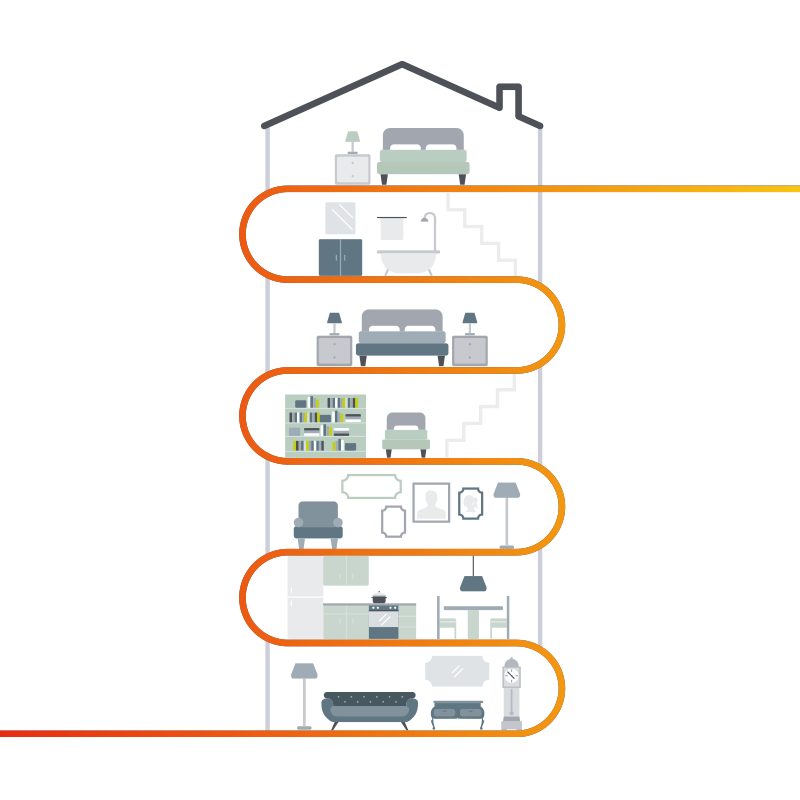 Our team of experts have helped thousands of UK homeowners make the switch to UFH. 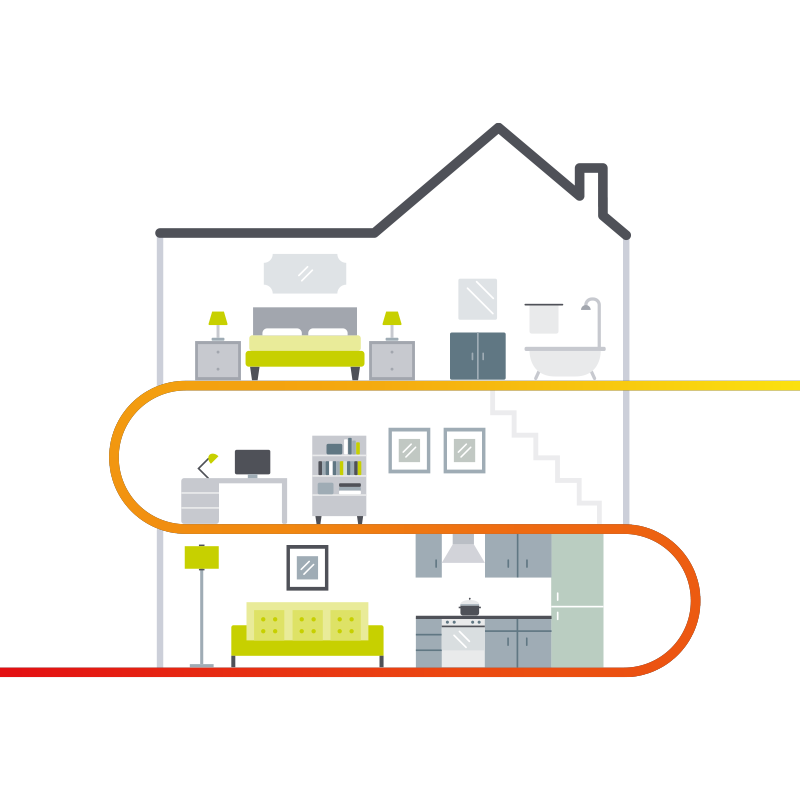 We take the guesswork and mystery out of UFH to make your transition to unbeatable heat as easy as possible. You can talk to a local expert today to find out more. Enter your postcode to begin.